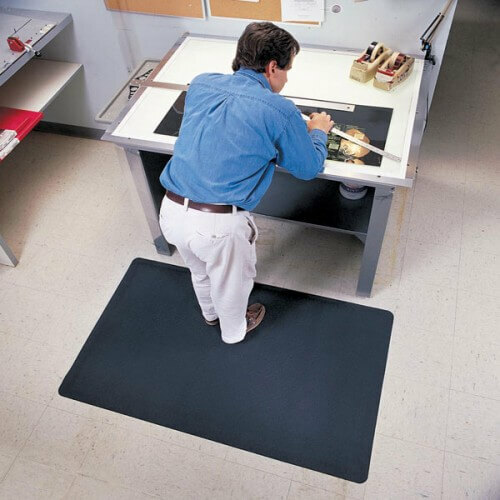 Notrax's 1/2" #480 Pebble Trax™ or 1-INCH #980 Pebble Trax™ Grande offers comfort and ergonomic support in dry environments such as assembly lines, lab areas, machine workstations, and packaging areas. 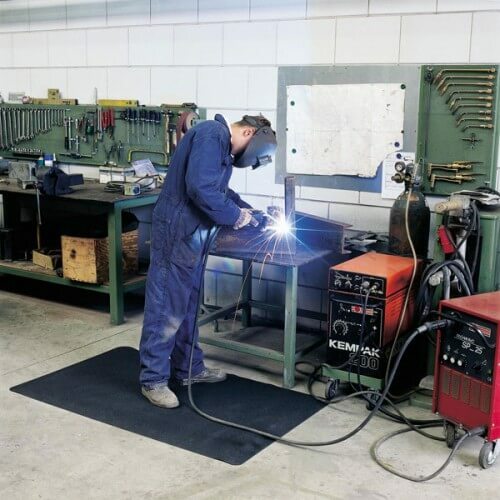 The pebble-embossed rubber top provides non-directional traction, is easy to clean, and resists exposure to sparks from welding. 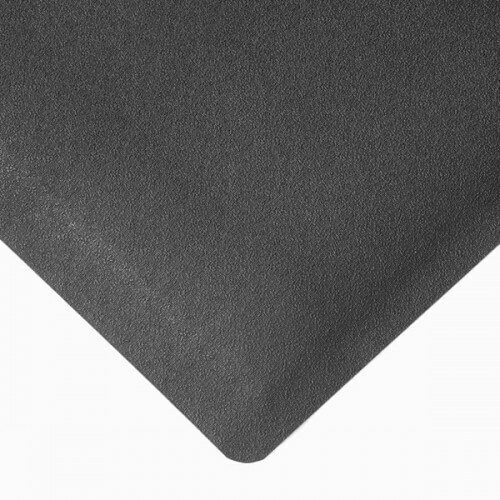 The resilient SBR rubber top surface is combined with a dense closed cell foam base utilizing NoTrax® exclusive UniFusion™ technology virtually eliminating the possibility of de-lamination. Available in 1/2" Notrax's Item# 480 and 1" Grande Item# 980. Production time: 3 to 5 business days. 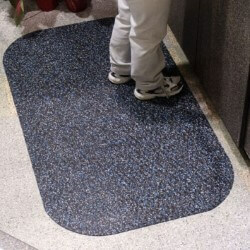 Custom Sizes and Runners Available - Up to 75' in length in 2', 3' and 4' widths. For pricing and ordering information email or call us. 1. Pebble-embossed top surface of resilient SBR rubber is combined with dense closed cell foam base utilizing NoTrax® exclusive UniFusion™ technology. 2. 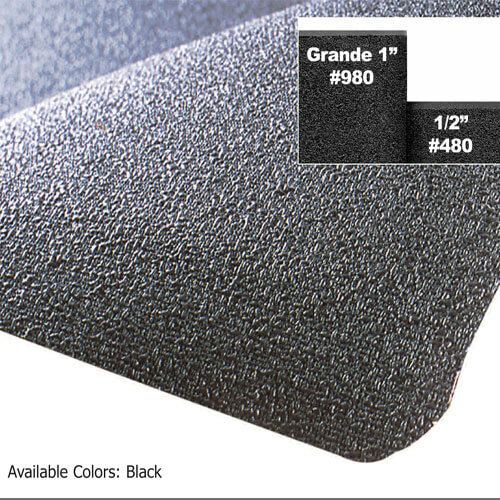 UniFusion™ bond guaranteed for the life of the mat - See warranty for details. 3. 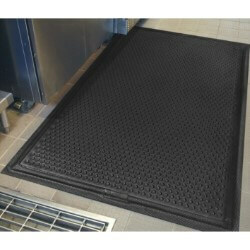 Sloped beveled foam on all 4 undersides affords easy access onto and off of mat. 4. Splicing option available for custom widths. 5. 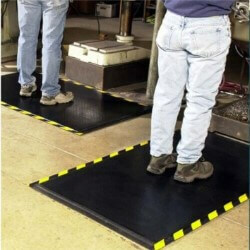 Now with RedStop™ to eliminate mat slippage.